Chrome derby handle wooden walking stick. 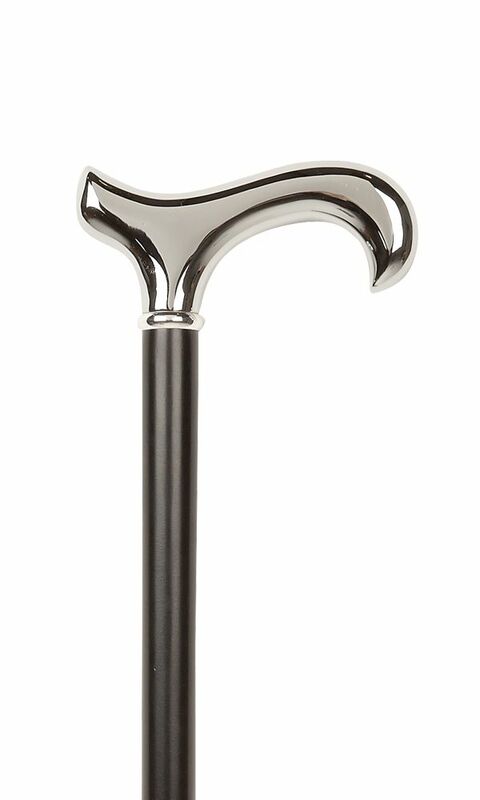 This stick has a black beech wood shaft with a chrome plated derby handle. Rubber ferrule RFF92 included. Height 96cm or 38".